I prefer just to shower and go and not add perfumes or other scents. I love the way my skin smells and feels after my shower with Softsoap moisturizing body wash. Now that my daughter s a tween, I have to fight her most the time for my body washes as she is a huge fan too! Any new scent she is eager to try! I love both the scents and have them both in my shower at the same time. 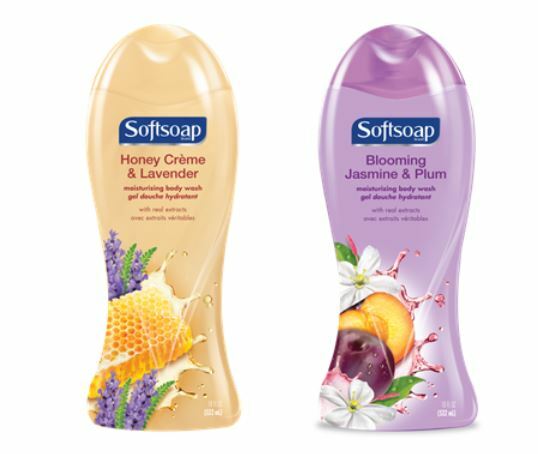 it seems Softsoap develops a variety of different scents, based on season/time of the year. I look forward to the new scents coming out and switch off each day on which scent I will use! Now that it is so cold and dreary out, it is nice to be awakened in the shower with these great scents! Not only does it make my skin smell great, feel moisturized, but it leaves a nice lasting scent in the bathroom.